As a convenience to its citizens, the City is offering text message notifications on a variety of topics. 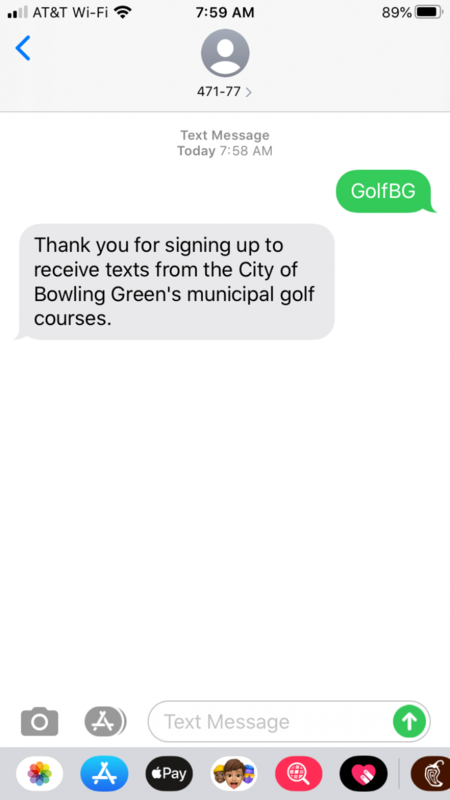 You can now receive text messages about upcoming road closings, public events, potential emergency situations, and even special deals from the municipal golf courses. GolfBG: Daily golf specials, upcoming events, as well as the status of its two courses. GolfBGWeather: Notifications about weather related closings at the three courses. WaterBG: Daily specials, closings, and weather notifications for Russell Sims Aquatic Center. SportsBG: Information relating to Bowling Green Parks & Recreation Athletic Programs. AmigosBG: This category will send City-related information in Espanol. Send [category name] to 555-888 from your mobile phone to begin receiving messages from that category. 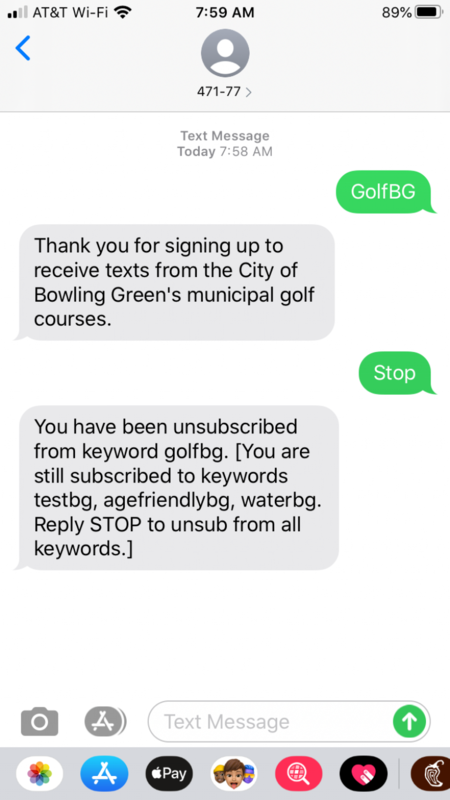 Example: Sending "GolfBG" would allow you to start receiving text messages from our "GolfBG" category. To stop receiving messages from the City, simply reply Stop [category name] to be removed from a specific list, or simply Stop to be removed from all lists.